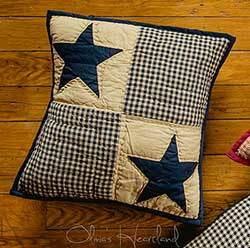 Jamestown Black Quilt featuring a striking black and tan palette, in a mix of country homespuns in solids, plaids and checks, with appliqued stars. Medium weight for year-round use. 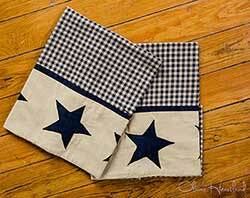 FREE SHIPPING on quilt (+ quilt accessory) orders totaling $149 or more! USA Only. Exclusions apply. See full details. We are offering pillows and shams for those who want to add to their bedding set, on a special order (no returns) basis. This is the Fabric Euro Sham. We are offering pillows and shams for those who want to add to their bedding set, on a special order (no returns) basis. 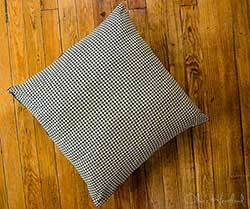 This is the 16 inch fabric pillow cover. We are offering pillows and shams for those who want to add to their bedding set, on a special order (no returns) basis. This is for the luxury-sized Pillow Cases. We are offering pillows and shams for those who want to add to their bedding set, on a special order (no returns) basis. This is for the standard-sized Pillow Cases. 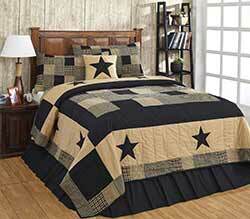 This striking black and tan quilt features a mix of country homespuns in solids, plaids and checks, with appliqued stars. Medium weight for year-round use. We are offering pillows and shams for those who want to add to their bedding set, on a special order (no returns) basis. This is the 16 inch quilted pillow cover. 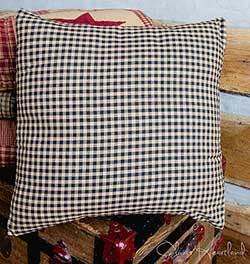 We are offering pillows and shams for those who want to add to their bedding set, on a special order (no returns) basis. 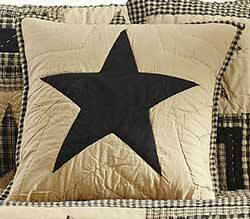 This is the 16 inch star pillow cover. We are offering bed skirts for those who want to add to their bedding set, on a special order (no returns) basis. 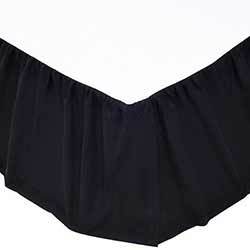 This is the Solid Black Bed Skirt, in Twin, Queen, King, or California King Size.